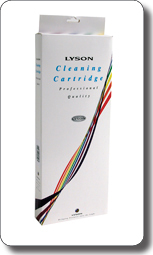 power cleans can be used to purge cleaning fluid throughout the ink system. times. Filling syringes and instructions are included. printer model fitted with a bulk ink feed device. 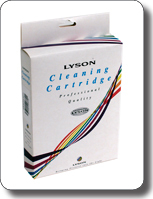 cartridges are available by color - follow the buy now links below to see pricing for single cleaning cartridges.